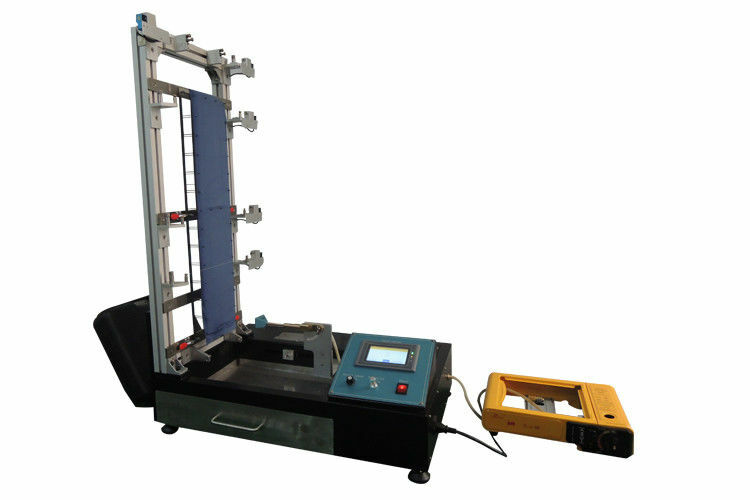 This tester is used to test the flammability performance of fabric, multi-layer fabric,fabric assemblies used in dress gowns and sleepear. 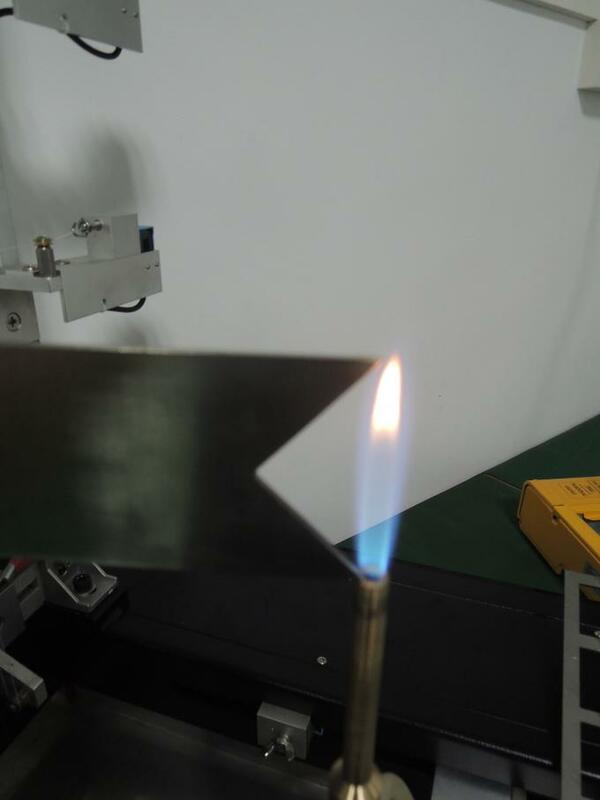 accordance with test 3 of BS 5438 using a 10 s flame application time, except that the vertical trip threads shall not be used. None of the six specimens shall sever the 300 mm trip thread in less than 25 s.
None of the six specimens shall sever the 600 mm trip thread in less than 50 s.
None of the second group of specimens shall fail either of the performance requirements.